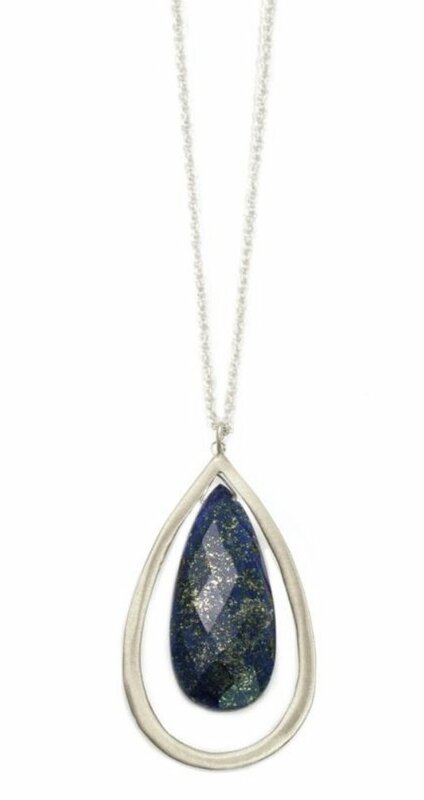 Sterling Silver and a faceted lapis stone. 30" Silver Chain, pendant hangs approx 2"In 1996 Philippa Roberts established her first studio in the basement of her San Francisco apartment building. What started as a small, hopeful business has developed into a studio attached to her shop in Oakland, CA.